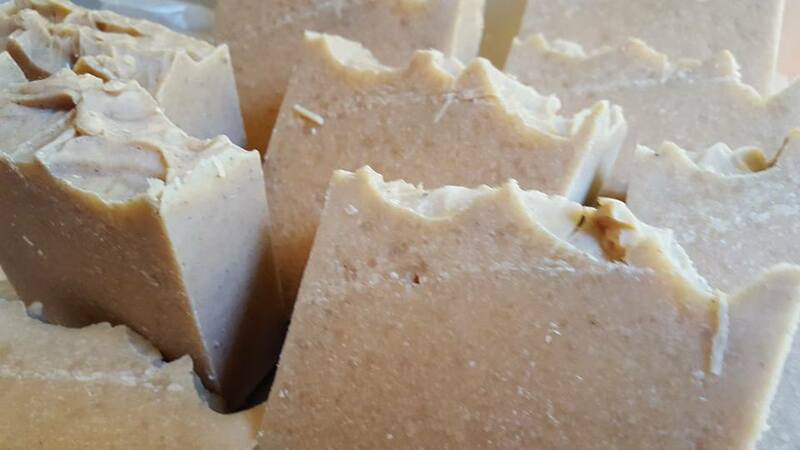 » New Goats Milk Soaps In Production!! 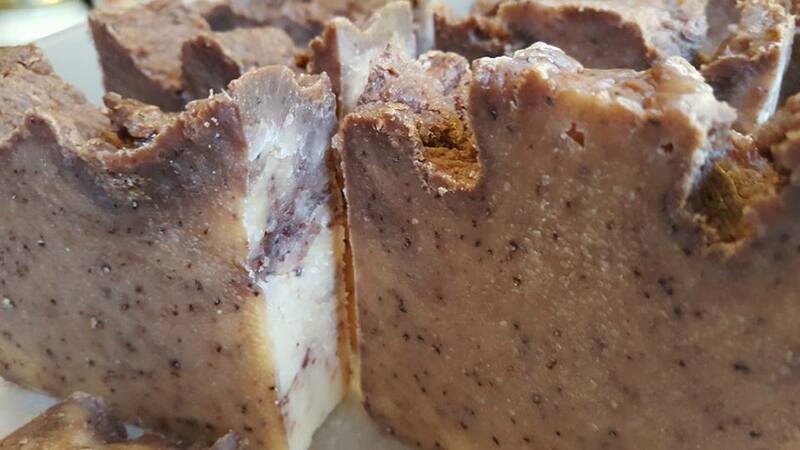 We are in the process of making the most gorgeous new soaps for the fall shows! This year we are only at 2 shows, the ADDISON OKTOBERFEST 9-15-18 and the SOUTHLAKE OKTOBERFEST 10/7-9. We may add a third, but for now that's all we have on the books. Please sign up for our newsletter because we are going to do ALOT OF ONLINE SPECIALS since we are not out at as many shows! These soaps are coming out superbly, just the perfect size and shape. We recently got new molds, so you'll notice the shapes of our soaps are slightly different than before. Now they are approximately 3x3 and weigh about 4-5 ounces. They are actually slightly larger than our previous shape. I've added the Goats Milk to the recipe and the creaminess is off the charts!! Silky, creamy and almost edible! I use coconut oil, olive, palm, palm kernel, canola, shea butter, cocoa butter, goats milk and fragrance. On certain loaves, I've been adding the poppy seed exfoliant, which seems to be very popular! Look at this one below, its PERFECT PUMPKIN and is packed full of fall spices,cinnamon, clove, ginger, buttery vanilla, pumpkin and more, this one is really scrumptious!